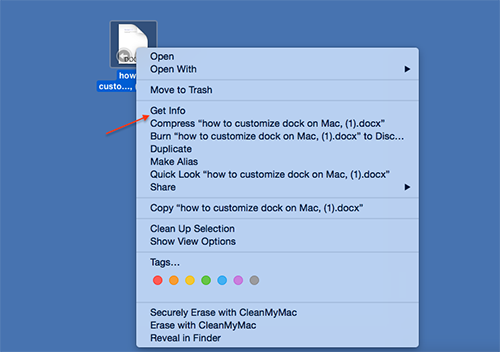 Set Mac App As Default For Specific File Types – iMobie Inc. If you want to change the default app to open up different file type in Mac OS X, this guide will tell you how to set up to meet your demand. Go to download this wonderful clean software to clean your Mac after reading this guide about how to change default apps on Mac for a certain type of file. You may want to use the apps you like to open files instead of the built-in apps on Mac, and set a new default app to open the files at this time. If you don't know how to set Mac app as default for specific file types, this guide will show you how to set it up. Step 1. 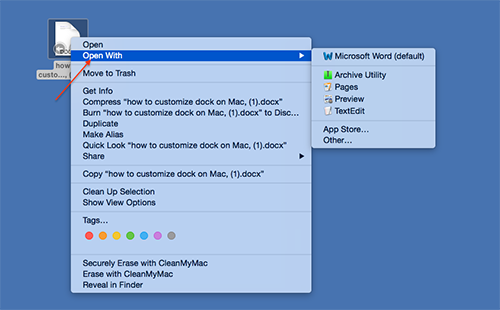 Find the specific file you want to change default app for, and then Right–click the file you need. Step 2. Press the "Alt" key on your keyboard, and then make the "Open with" option become "Always Open Up". Step 3. Choose the app you want to use to open the file. 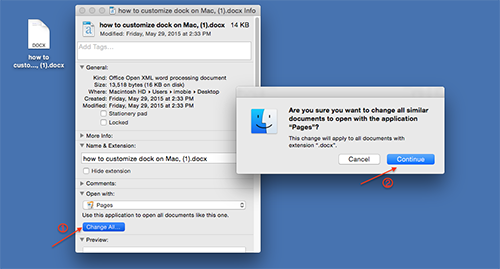 This way is applied for users to change default app for a specific file on Mac. If you want to change the default app for all files of that same type, please read on part 2. Step 1. 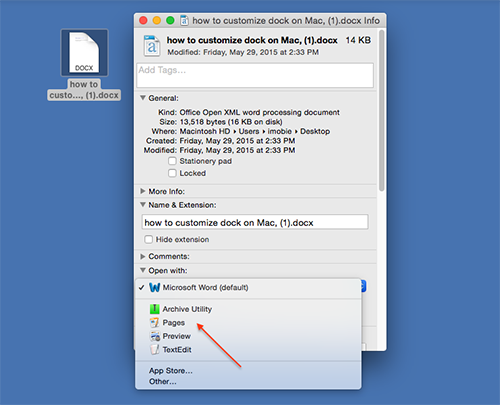 Right-click on a file you would like to change the default app to open for. Step 2. Click on Get Info. Step 3. Locate and click on the Open with and choose the app you want to use as the default from drop-down menu. Step 4. Click on Change All button, and click on the Continue from the pop-up window. If you want to make your Mac run faster than before, you can use a good program like MacClean to do some cleaning on your Mac for you. If you still have any question on your mind, please contact our support team via Email. If this guide is helpful, please share it with your friends and family.